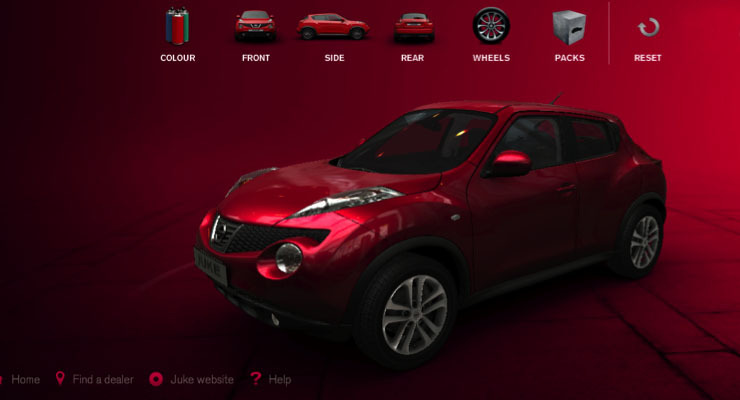 Digitas France have created another stunning Away3D website – this time in the form of a personalisation tool for the Nissan Juke. 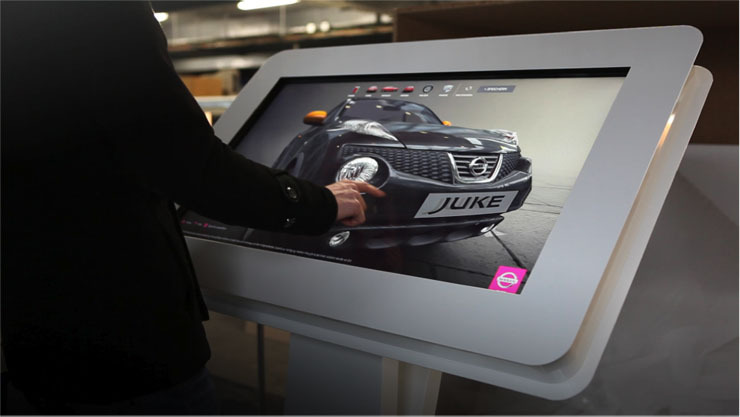 The site will shortly be available in Nissan dealerships across Europe, enabling a real-time 3D personalization experience with the highest degree of precision and realism. Several custom filter and material options were created to achieve the highly polished look, taking advantage of the accessible, open ended framework that Away3D offers. The app was also recently featured in an interactive touch-screen display at the 2013 Geneva MotorShow, demonstrating the ease with which such an experience can be transferred to an entirely different platform with the same beautiful results.